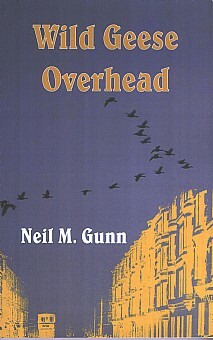 From this evocative title comes a powerful novel set in the city of Glasgow in 1939. This is indeed a bleak stage, and yet how does this title, with its implication of freedom and flight, meld with a depressed city at the outbreak of war? The main character, a journalist, finds that a glimpse of wild geese catalyses the development of his thinking on various levels - social, political and psychological. The contrast of urban and rural life, characteristically penetrating dialogue, remarkable insight, physical violence...all are included and take the reader on an absorbing and enlightening journey to the story's dénouement. Another outstanding novel from the creative pen of Gunn.